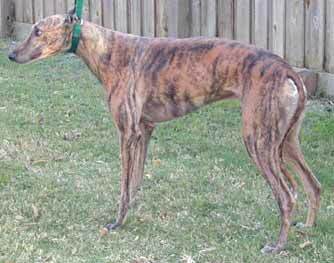 Polo, aka AZ Done Deal, is a 3-year-old red brindle male. Polo did not race. He is somewhat shy until he warms up to you, which he will do with lots of love and patience. 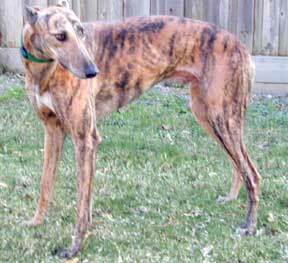 His markings make him a very unusual and handsome greyhound.